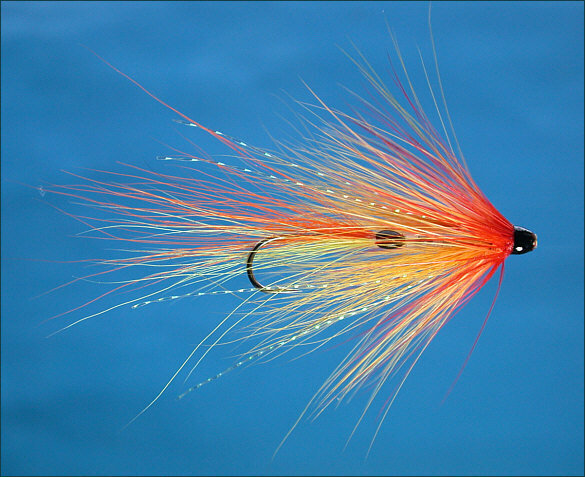 The Tingler is simply a tube fly armed with a lightly dressed single hook. 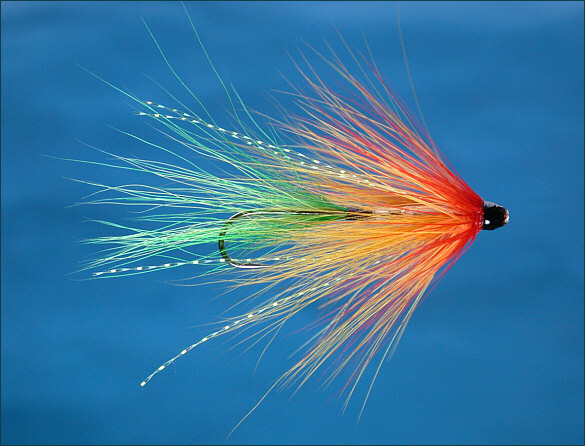 By arming the tube with variously dressed single hooks, the appearance of the tube fly can be altered considerably. Both the tube and single hook may, of course, be dressed according to quarry, taste and circumstance. 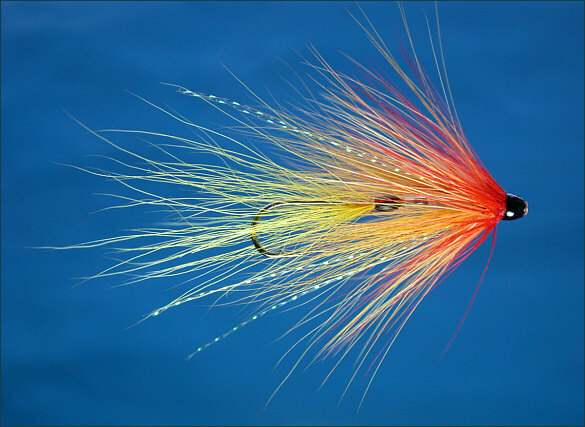 The Tingler was initially dressed for sea trout night fishing (see Sea Trout Tingler) but the principle and dressing may be adapted for any predatory species. 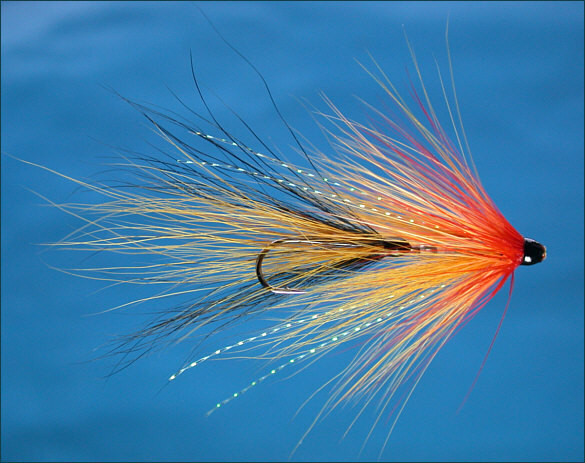 The examples shown here are intended for salmon fishing. 1. 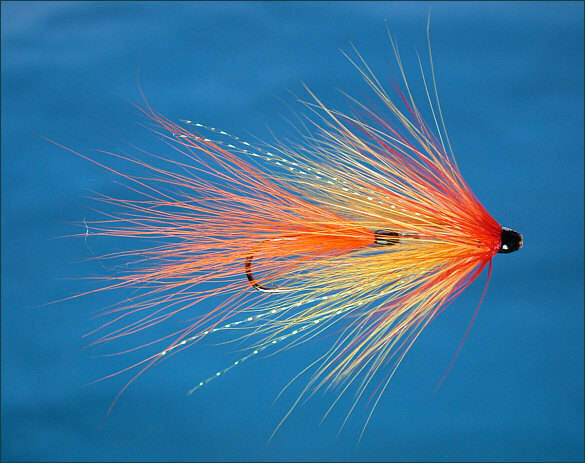 There is a wide range of single hooks available, in a variety of size, shape, style and strength, which are suitable for use with tube flies, e.g. straight eyed carp hooks. 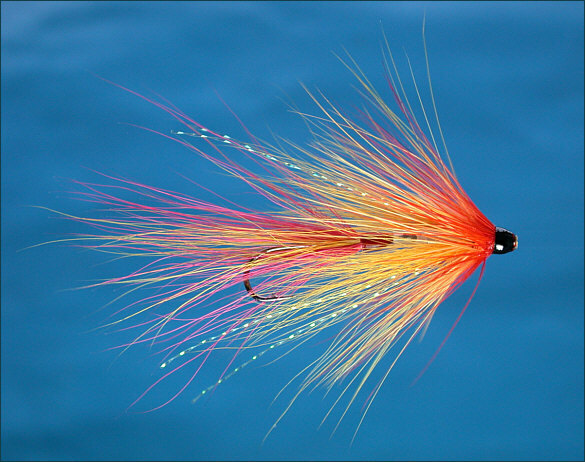 Such hooks are also less expensive then trebles and doubles marketed as tube fly hooks. 2. With the growing awareness of the need to conserve fragile salmon and sea trout stocks, the single hook makes it easier to release fish quickly and without harm. 3. 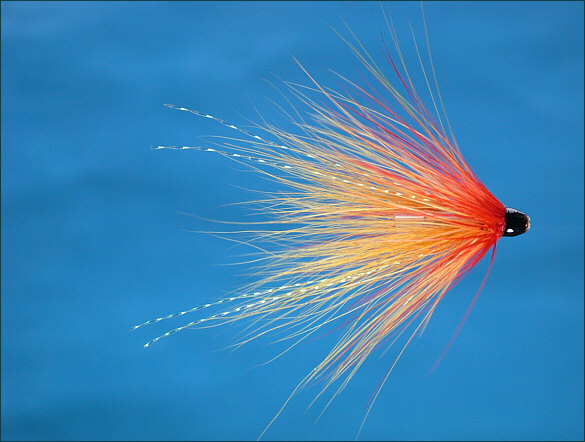 The use of a lighter single at the tail end of the tube allows the lure to swim, possibly more attractively, on a more even keel, with the bulk of the weight towards the front of the lure. In addition, a shorter and therefore lighter tube may be used (where a weighty lure is not required) in conjunction with a long shank single, which may be more easily cast, particularly on a light single handed rod. 4. A variety of lightly dressed single hooks, in various materials, densities and shades, may add some mobility and vitality to the tube fly and variously dressed single hooks can be readily interchanged with various tube dressings to create, most economically, a wide range of colour/shade/shape options. 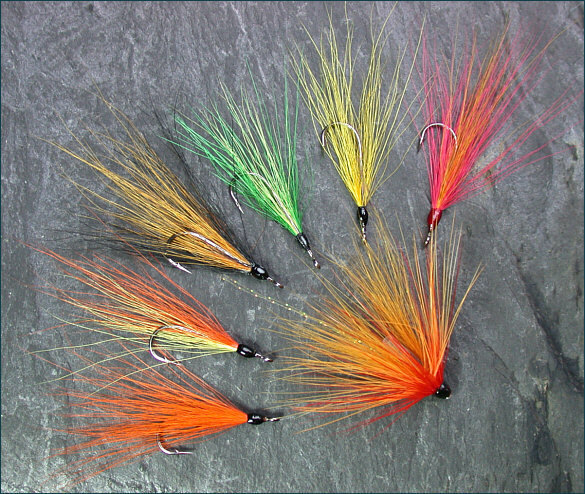 For example, four tubes and four dressed single hooks, all with different dressings, give a possible 16 variations of fly, 20 if we include the possible use of an undressed single hook.